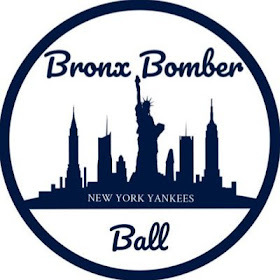 In a span of 48 hours earlier this week, Yankees' General Manager Brian Cashman pulled off two trades to bolster both the starting rotation and bullpen as the Yankees hit the dog days of summer, still within striking distance of Boston for the AL East crown. New York has one of the stronger lineups in baseball and few spots for obvious upgrades, so Cashman chose to focus on the other side of the ball. As I had written roughly a month ago, the Yankees face an intensive roster crunch this season, as over a dozen players in their system faced Rule 5 Draft protection, or New York risked losing them for nothing. Both Tate and Rogers were guys I mentioned as possible trade pieces with the Yankees deep starting pitching depth going into next season – only CC Sabathia isn't under contract. In acquiring Britton, the Yankees were able to move three of those Rule 5 eligible players in exchange for a rental of one of the best left-handed relievers in all of baseball, and an obvious upgrade over Chasen Shreve. The Yankees have been crushed by the injury bug in their rotation this year, having already lost Jordan Montgomery for the season to Tommy John Surgery, while Domingo German – ineffective while he was healthy at the major league level – and Jonathan Loaisiga are both currently on the minor league disabled list. Sonny Gray has also proven to be anything but a sure thing in the rotation come playoff time. The Yankees needed to go out a get a reliable veteran that could help them down the stretch, but also be a guy they felt comfortable giving the ball to in October. Let's start off with the Britton trade because this is one of my favorite moves Brian Cashman has made in years. Britton of course will only pitch an inning per appearance, and is a free agent at the end of the season, but he is a dominating left-handed reliever the Yankees can add to an already stacked bullpen. The Yankees now have a nasty lefty they can go-to to match up against left-handed hitters, as the only other reliable left-hander in their bullpen, Aroldis Chapman, is reserved for the ninth inning. To me, this trade just makes so much sense. With question marks in the starting rotation, and an offense that, when on, can produce runs at an incredible clip, the Yankees have basically shortened games to five innings, as they can use any combination of Jonathan Holder, Chad Green, David Robertson, Britton, Dellin Betances & Chapman on a nightly basis. 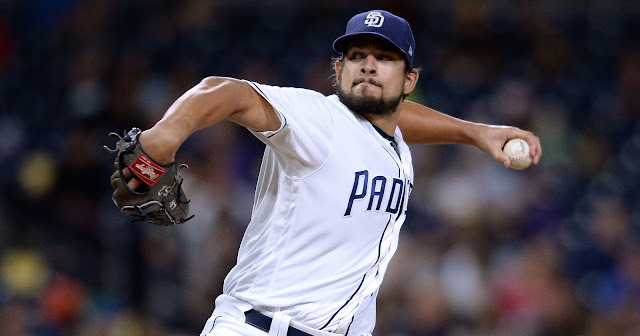 Perhaps Tommy Kahnle will get right in the minors and be yet another weapon down the stretch? That's perhaps the most fearsome late-inning crucible Major League Baseball has seen the last 30 years, if not ever. 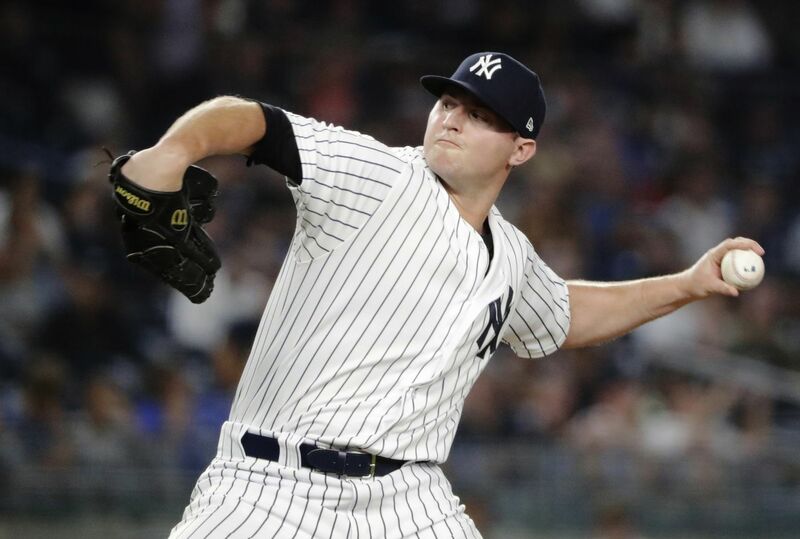 Britton has seemingly put his recent achilles injury in the rearview mirror as he hasn't allowed an earned run in his last nine outings, and looked downright filthy in his Yankee debut on Thursday night. His 3.24 ERA is inflated by a one-out, four run appearance against Atlanta last month in just his fifth game back off the DL. The J.A. Happ trade, on the other hand, is a little bit more puzzling to me. 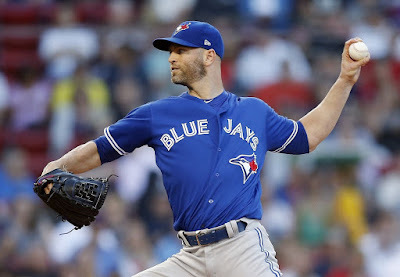 While Happ is a reliable veteran, and has a history of success in the American League East, I'm a bit weary of his recent string of starts – he's gone 2-3 with an ugly 6.03 ERA in six starts since June 20th. He also has a 1.468 WHIP (36 H, 10 BB in 31.1 IP) over that span, while allowing seven HRs, a rate of 2.0/9 IP. Yuck. To me, it all comes down to how much do I trust the guy in a big game against Boston, Houston or Cleveland, and right now I just don't know how high that level of confidence is. Giving up Brandon Drury, someone who just had no place on this roster, was already enough. I didn't value Happ, as a rental, as worth all that much to begin with due to his recent lack of success, so it's even more puzzling to me why the Yankees felt the need to include Billy McKinney as well. 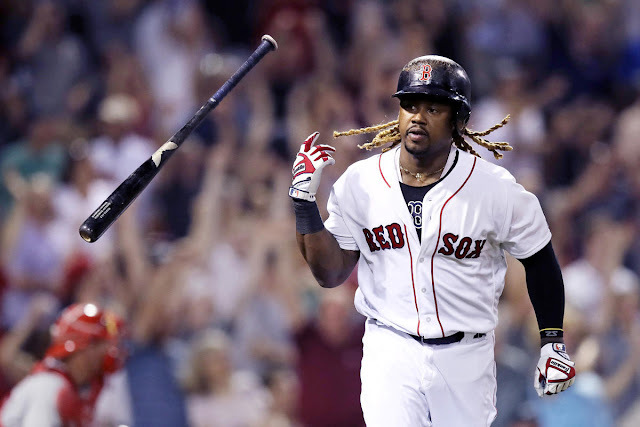 McKinney, already added to the 40-man roster last December, would not have been subject to the Rule 5 Draft this year and losing him became all the more troubling as Aaron Judge went down for a month with a chip fracture in his wrist Thursday night. With Clint Frazier still on the DL with post-concussion symptoms, McKinney would have been a logical option to be called up to play to role of fourth outfielder, but now he's gone as well. I really hope I'm dead wrong about Happ and that he can turn his season around now that he's back in a pennant race. As another lefty alongside Sabathia, the Yankees' rotation is now very balanced, and we no longer have to rely on guys like German, or Luis Cessa. Hopefully that's enough to chase down Boston over the season's final nine weeks. We had to include McKinney, Drury wasn’t enough that’s just silly as he has far less value than Happ. Also you make it sound as if it was up to us, Toronto wouldn’t do Happ for Drury, we had to put in McKinney.